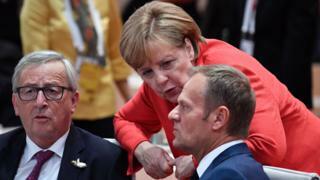 The UK impasse over Brexit casts a cloud of uncertainty over EU leaders meeting for emergency talks in Brussels on Wednesday. The 27 are frustrated with all the Brexit wrangling. They have agreed that 12 April will be the UK exit date, if by then Theresa May still has not got the withdrawal agreement passed by Parliament. So legally the UK could still exit on Friday. But neither the EU27 nor the UK Parliament wants it. An overwhelming majority of MPs voted against no deal. And there is a new complicating factor: European Parliament elections on 23-26 May. So what are Mrs May’s EU partners saying? European Council President Donald Tusk is proposing a one-year flexible extension (“flextension”). It would have a break clause, allowing the UK to exit earlier, if the UK Parliament finally ratifies the withdrawal agreement. The House of Commons has already rejected the agreement three times. The EU27 insists that the withdrawal deal cannot be renegotiated, but the accompanying political declaration – spelling out ambitions for future ties – can be revised. That declaration is not legally binding. 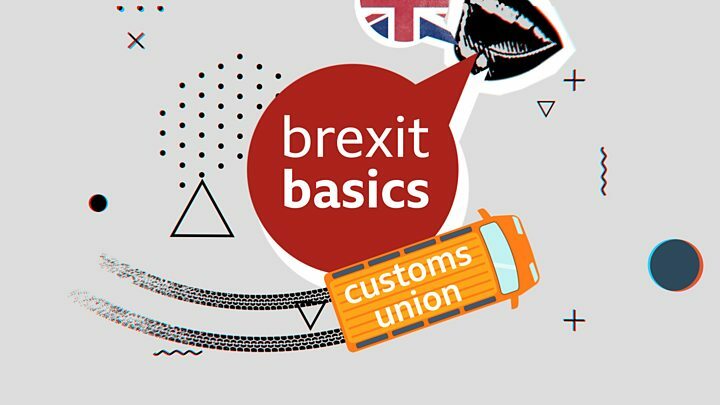 There is still scope for the UK to agree, for example, to stay in a permanent customs union. In her Brexit “red lines” Mrs May insisted the UK would pull out of the EU customs union and single market. The opposition Labour Party – now in Brexit talks with Mrs May – is worried that any deal to have a softer Brexit, closer to the EU position, could still be scrapped by a future Conservative leader. So why might the EU27 opt for “flextension”? Any new EU decision to delay has to be unanimous; one country’s veto could trigger no-deal Brexit. The French government sees Theresa May’s proposal, for the UK to exit on 30 June, as a political manoeuvre to appease MPs at Westminster. The EU27 have previously rejected a 30 June deadline.